Crosswater Kai Digital Showers > Digital Shower, Head & Slip Bath Spout (LP). 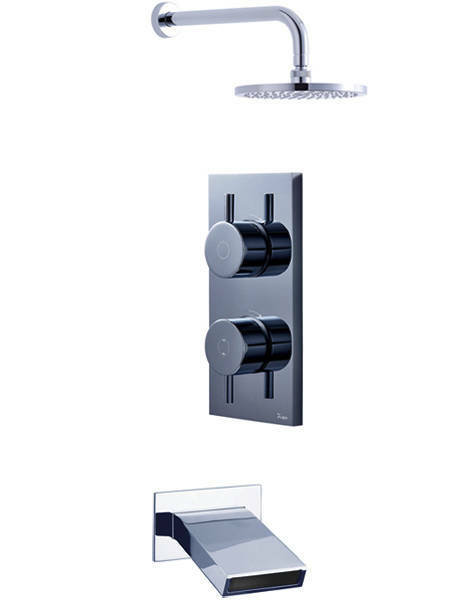 Kai dual digital shower pack with Slip waterfall bath filler spout (for low pressure systems). 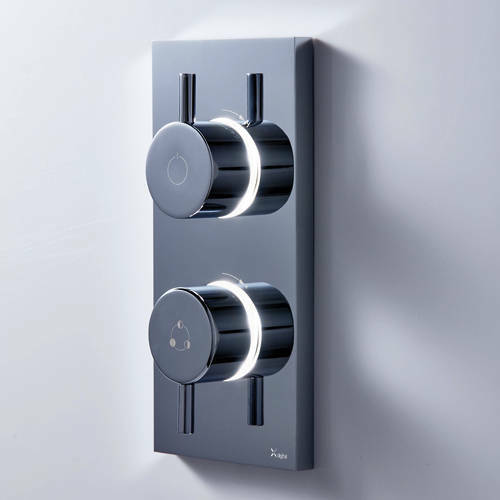 Contemporary digital shower controls with shower and bath outlets. 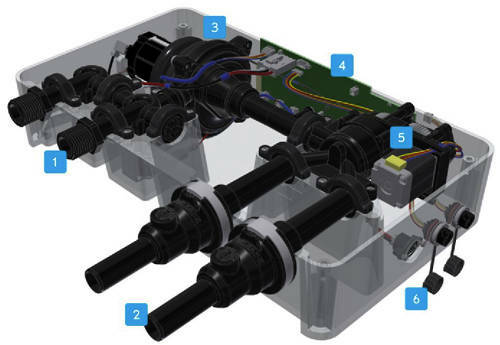 Two controls for temperature, water flow and diverter. 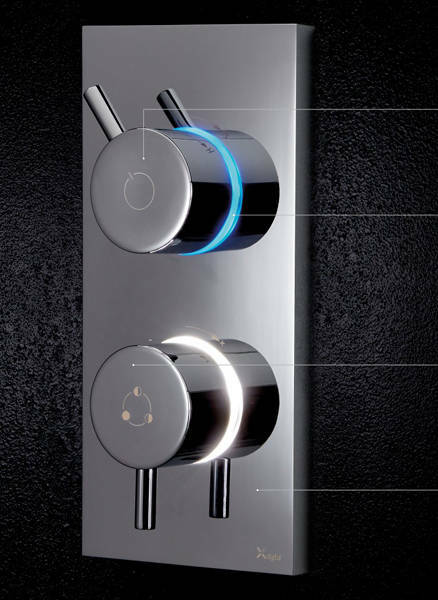 One touch switches from bath water flow to the showerhead. Round shower head included 200mm (chrome). Wall mounted shower arm included 330mm (chrome). 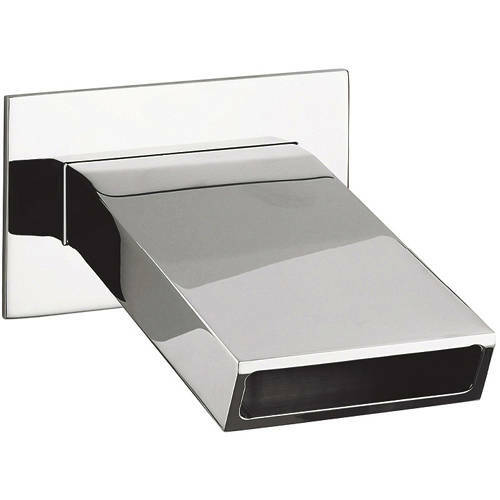 Slip waterfall bath filler spout included 172mm (chrome). Each digital processor has a pre-set maximum temperature of 41°C (can be overridden and adjusted to 46°C, bath is pre-set at 44°C).